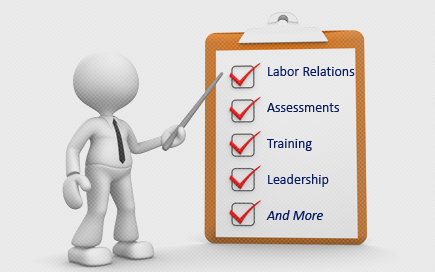 Labor Relations News Update August 18, 2014 | Oliver Bell, Inc. This one’s for you Michael! OSLO, Aug 17 (Reuters) – Norwegian labour union SAFE accepted a pay deal for workers with oil service companies in the late hours of Saturday, calling off a strike that would have affected a Norwegian unit of Baker Hughes, an industry body said. Some 89 oil workers would have walked off the job from Sunday if the talks had failed, although the move would not have had any immediate impact on Norway’s oil output. In addition to the union members at Baker Hughes, the deal will also cover those working at oil service firms Schlumberger, Oceaneering NCA and Vetco Gray, a part of General Electric Co , the Norwegian Oil and Gas Association said in a statement. Labor leaders behind the biggest strikes in Cambodia’s $5 billion garment industry knew last year they had a strong case for higher wages: they had already compared notes with activists in neighboring countries. Thousands of workers in China, Indonesia and Cambodia have protested in recent months at local firms supplying U.S. sportswear company Nike Inc to press for better pay and conditions. Up to 4,000 workers at Sabrina (Cambodia) Garment Manufacturing Co, which makes clothes for Nike, went on strike in May last year demanding higher wages to keep pace with transport, rent and healthcare costs. Across Asia’s low-cost garment manufacturing industry in particular, there have been more strikes as unions use a shortage of skilled workers to press for better pay and improved safety – an issue highlighted by the April 2013 collapse of the Rana Plaza garment factory in Bangladesh, which killed at least 1,130 people. Members of the Garment Manufacturers Association in Cambodia (GMAC) have reported a jump in the number of strikes to 147 last year from fewer than three dozen in 2011. Other international brands hit by protests at Cambodia-based suppliers last year include H&M Hennes and Mauritz AB, Wal-Mart Stores, Gap and Puma SE. Following the Bangladesh disaster, local unions reached out to international labor representatives, said Annie Adviento, director of IndustriALL’s Southeast Asia office, helping create the landmark Accord on Fire and Building Safety – a legally binding agreement signed by more than 150 apparel firms and the unions that requires factories to have independent safety inspections with the results made public. “Our motto is clear – say no to cheap wages. We’re spreading that principle in Southeast Asian countries,” he told Reuters. When negotiating with the GMAC and the Cambodian government, unions have drawn on examples from other Asian countries such as Thailand – which last year brought in a national daily minimum wage of 300 baht ($9.42) – said Pav Sina, president of the Collective Union Movement of Workers. While the GMAC agreed to gradually raise the monthly minimum pay to $160 by 2018, the unions – which have power and influence over Cambodia’s economy – are pushing for $177 a month and have threatened more strikes, Pav Sina told Reuters. In Jakarta, capital of Southeast Asia’s largest economy, the minimum monthly wage has jumped around 60 percent to 2.4 million rupiah ($205.30) over the last two years, partly due to intense lobbying by labor activists. That compares to 1,820 yuan ($295.79) a month in Shanghai – the highest in China, once the world’s ‘cheap factory’. In an emailed statement, Nike said it takes a “long-term approach” to sourcing decisions – it has contract factories in 44 countries – and is always looking to improve its supply chain, through increased productivity and efficiency.